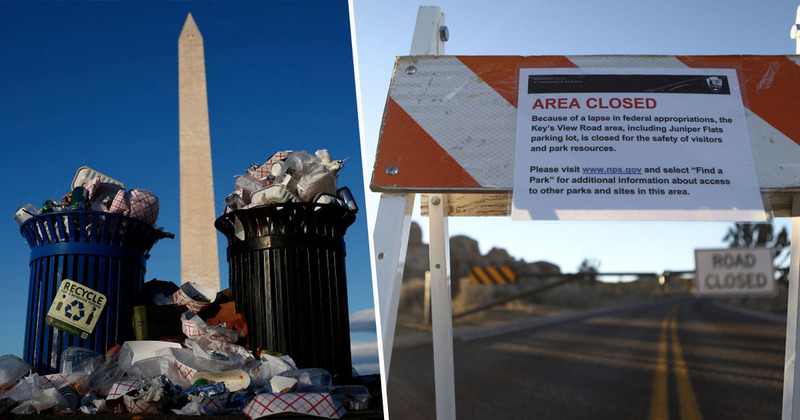 The US is currently in its second week of a partial government shutdown, and many government-run buildings and national parks are suffering because of it. Running on little to no staff, many American national parks are now overflowing with rubbish, discarded belongings and human waste, as there are none of the usual rangers or staff members to keep the areas clean and tidy. 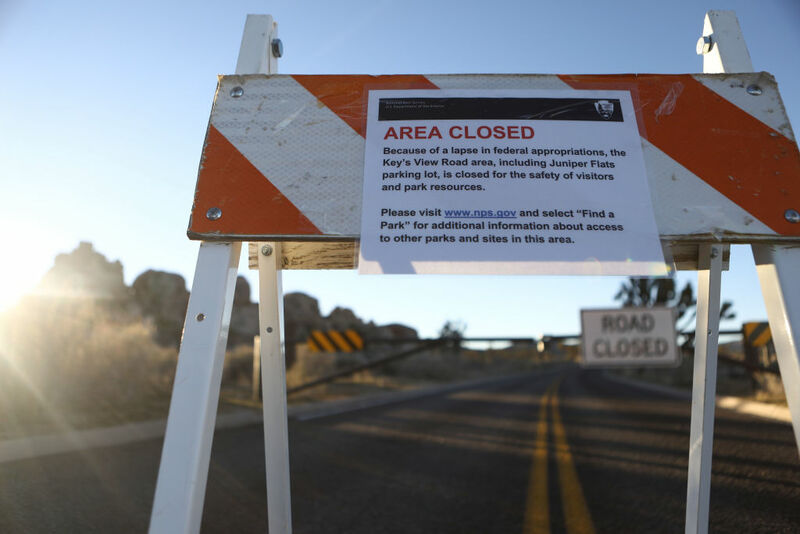 Most national parks initially decided to keep their gates open during the government shutdown. However, as the issues multiply, putting a strain on sanitation and safety, some are now taking the difficult decision to close completely. Overflowing toilets are causing issues for most of the parks, including Yosemite national park, which was forced to close its campgrounds and play areas, as well as Joshua Tree national park. Without staff to clear up rubbish left behind by visitors, bins are overflowing, with bags of waste being dumped in public areas and piling up. The abundance of garbage along Generals Highway, which runs through Sequoia national park and Kings Canyon national park, has led to the road being shut down, Business Insider reports. One person shared a photo on social media of rubbish piling up outside the White House itself. That’s the White House in the background. 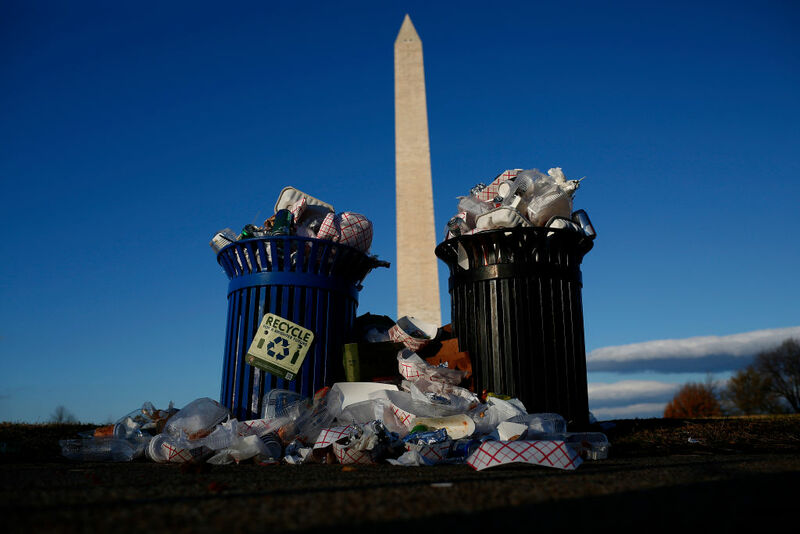 The National Park can’t empty trash cans next to the Washington Monument. The government shutdown occurred after a disagreement over funding for Trump’s border wall between the US and Mexico. The president has called the situation at the border a ‘national security crisis’, though Democrats have accused him of ‘holding America hostage’ with a ‘fake threat’, BBC News reports. The nation is in a bit of a political stalemate, therefore, as they wait to see how the parties are going to move forward and eventually end the shutdown. White House Press Secretary, Sarah Sanders, told reporters that – though Trump did not declare a national emergency in his Oval Office address – the move was ‘certainly still on the table’. If he was to do this, Trump could invoke his presidential powers, bypass Congress, and use military resources for the wall. This, however, would spark a huge legal battle between the two branches of the government. Another option would be to strike a deal with Congress in order to end the shutdown. Trump did meet with Congress leaders to do this on January 9, but walked out of the meeting, calling it ‘a total waste of time’. A third option would be, unfortunately, for the shutdown to continue. Around 800,000 people are expected to not receive their paycheque this week. If it continues over the weekend, this would become the longest government shutdown in US history.